Today we are excited to feature debut PB author (and friend!) Jamie Deenihan and her debut, WHEN GRANDMA GIVES YOU A LEMON TREE, illustrated by Lorraine Rocha (Sterling, March 5, 2019). Be sure to enter to win a copy! Tell us about yourself and how you came to write for children. As a kid, I always loved reading and writing stories and often wondered about the process of getting a book published, but never looked into it. I grew up and became an elementary school teacher and a mom who was immersed in picture books for most of the day. The growing collections of picture books in my home and in my classroom inspired me to dig out a few old stories I had written. I also started jotting down ideas for new stories and just like when I was younger, I found myself wondering about the process of getting a book published. In 2014, my husband and I went to a free workshop at my town library, where I received tips about how to become an author. Thanks to Dawn Metcalf, the author who hosted the library event, I immediately joined a local critique group, became a member of the Society of Children’s Book Writers and Illustrators (SCBWI), joined Julie Hedlund’s 12X12 Picture Book Challenge, attended the New England SCBWI Conference in Springfield, Massachusetts, and participated in many online writing challenges including PiBoIdMo (now called Storystorm), ReFoReMo, and Twitter Pitch Contests. I learned a lot about writing and the industry in a short amount of time and was fortunate to sell a manuscript to Sterling on my own, through the slush pile, in 2016. Congrats on your picture book WHEN GRANDMA GIVES YOU A LEMON TREE. How did you come up with the idea? Thank you! My debut picture book, WHEN GRANDMA GIVES YOUR A LEMON TREE, illustrated by Lorraine Rocha, is about a girl who asks for electronic gifts for her birthday, but instead, receives a lemon tree from her Grandma. It’s a story that celebrates the pleasures of patience, hard work, community, and putting the electronic devices down just for a while. This story was inspired by childhood memories of trying to grow citrus fruit trees at my grandparents’ house from the seeds we found in our fruit, growing up on a farm, and of course, the popular saying, ‘When life gives you lemons, make lemonade.’ In 2015, I was a first-grade teacher, picture book-lover, and parent of a three and four-year-old at the time. One day, I caught myself thinking about how funny it would be to give a kid a lemon tree for their birthday and see how they’d react. I scribbled down a few notes and that’s how the very first draft was born. Ironically, I wrote the first draft one month before my husband was diagnosed with a brain tumor which is when the story took on a whole new meaning and became a labor of love and source of hope for me and my family. Although my husband has health challenges and ongoing treatments to face, he carries on with strength and a hopeful outlook thanks to his incredible team of doctors and our family and friends who have been there for us every step of the way. So, although this story was written to be light-hearted and funny, I also hope that readers will be inspired to turn whatever lemons they’re facing, into lemonade. Was your road to publication long and windy, short and sweet, or something in between? 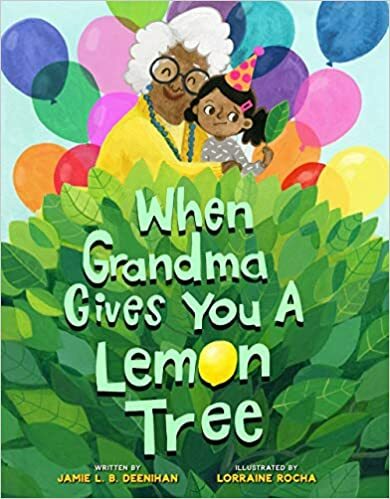 March 2019 – release date for When Grandma Gives You a Lemon Tree. Looking at the list above, it may appear to have been an easy journey, but it wasn’t. 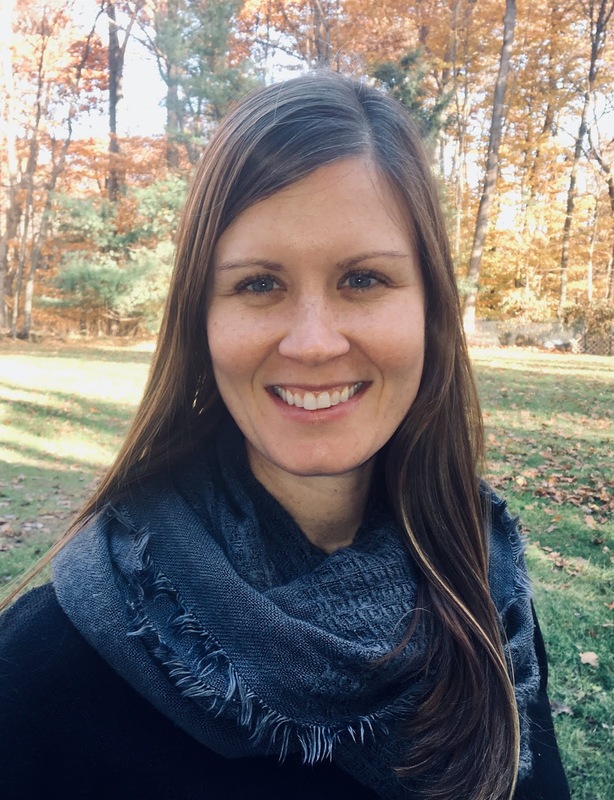 I’m sure many of the readers here can relate in some way, but I was teaching full-time, raising two young children, joining several writing-related groups and trying to learn about the publishing process, and suddenly, I found myself managing my husband’s brain tumor diagnosis and resigning from a decade-long teaching career that I loved. It was total chaos but writing picture books helped me persevere. Writing was something I had control over and it allowed me to escape from reality for a bit. I’m proud that I was able to sign with my agent, Linda Camacho, and sell five picture books between 2014 and 2019, but it was a lot of work and since I didn’t have a firm grasp on the publishing process, I felt like I was scrambling to figure everything out along the way. Honestly, I still don’t feel like I know what I’m doing, but I know how working as a picture book author makes me feel – like my best self and full of joy, so I’m going for it. My message to anyone doubting themselves or questioning whether they should become an author or try to accomplish some other goal that seems unattainable, is to stop wondering if you can do it and just go for it! Anything is possible and life is short, so be brave and jump in! And whether the road ahead is long and windy, short and sweet, or something in between, the journey will be worth it. I have one manuscript out on submission that has received zero interest, so I will most likely be reworking that concept at some point, and I have about 10 works in progress that I’d like to get submission ready, but I’ve been struggling to find the time to dive in. Besides writing new manuscripts, much of what I’m working on lately is getting ready for the release of my debut picture book, scheduling author events, and trying to get my website and school visit information organized. 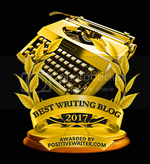 This type of author work is important, but I’m finding that I need more time to write. Since resigning from my full-time teaching position in 2015, I started teaching at a preschool in my town four mornings a week. I absolutely love the school, staff, and students, but I’ve decided that next year I’m going to take another step back from teaching and attempt to be a full-time author. This is a huge risk for me, and I could very well fail miserably, but I know if I don’t go for it I’ll regret it forever. What advice would you give your younger self? Is this the same advice you'd give to aspiring authors? The advice I’d give to my younger self is that it’s important to have goals but stop trying to control every detail of your life. Embrace the plot twists, create your own light even in the darkest moments, spend your time with people who make you feel like your best self, and do work that brings joy to your life. My advice for aspiring authors is the same and if you’re just starting out, everything you do is going to be out of your comfort zone. Embrace it. I think taking risks is what helped me sell five manuscripts in five years. Remember all those things I got involved in right away? I was terrified!! I didn’t know what a critique group was or what SCBWI stood for, and heck, the Verizon guy had to basically pry my flip phone out of my hands when the time came to upgrade to an iphone so I could start building an online presence. But with each risk I took, I gained insight into the writing process and the industry, made meaningful connections with people, and gained confidence in myself. Wherever you are in this process, you can do this. Believe in yourself and go for it! Most people don’t know that I’ve only had one job interview and it was the worst interview in the history of interviews. If you don’t believe me, contact anyone who was on that panel and they will gladly confirm it was a horrendous experience for everyone involved. Fortunately, the panel based their decision on my performance within the classroom and school community during my year-long student teaching placement, and I got the job. I went on to earn a Harold Grinspoon Teacher Excellence Award and remained in the same first-grade classroom for ten years. It was in my first-grade classroom where I first shared a draft of what would become my debut picture book. Memorial School will always have a special place in my heart. Jamie L. B. Deenihan is a teacher and picture book author who lives in Suffield, Connecticut with her husband and two children. Her upcoming picture books include, When Grandma Gives You a Lemon Tree (Sterling/March 5, 2019), When Grandpa Gives You a Toolbox (Sterling/Spring 2020), The New Bird in Town (Avenue A Books, June 2019), Tooth Fairy VS. Santa (Penguin Workshop, Fall 2019), and Tooth Fairy VS. Easter Bunny (Penguin Workshop, Spring 2020). This is one of the best, most encouraging interviews I've ever read! I love your humor that comes through, even dealing with challenges. I recently quit a job I loved to care for my mom. Thanks for sharing your journey! Jamie, your journey to publication is inspiring. Thank you for sharing your experience. I am an elementary librarian and love to support PB authors. I will be placing your books on my next order. Congratulations! Hi Nadine! It was my pleasure being on Kidlit411.Thank you for adding my book to your library order! It is still very surreal that my book will be out in the world soon. I appreciate your support very much! Congratulations on your book and persevering through everything you’ve been through. You gave such great advice. Seems like the right time for me to read this as I am a beginner. Still have to look up the correct order of the letters for SCBWI. Hi Ashley! Congrats on your new journey!! If you haven’t already, check out the 12X12 Picture Book Challenge and the other writing-related groups I mentioned in my interview. It’s a great way to build up your KidLit community and learn a lot about the industry very quickly. If you have any questions, feel free to reach out! You’re going to do great! Hugs for you and your family. I too understand about making something good out of bad situations. Your book looks adorable. Wishing you many congratulations! Hi Aileen! I’m sorry to hear you’ve had hard times to get through, but I’m learning that everyone has something they’re up against and I hope it has made you stronger. The illustrator, Lorraine Rocha, did such a wonderful job bringing this story to life. I can’t wait for people to enjoy her illos as much as I have! Congrats! I loved reading this interview & learning more about you. Wow--5 books! Thank you for sharing your journey, Jamie! I loved the behind-the-scene look into your journey. Congratulations on your debut! Hi Amber! Thanks for checking out my interview! The past few years has certainly been a blur, but I’m grateful for where I am now. Have a great day! Thank you, Melissa! Your mom is very lucky to have you as her caregiver. I hope she is okay. It can be really emotional taking care of a loved one, so please don’t forget to take care of yourself, too. Wow! What an inspiring story. You were given some lemons from life and truly made lemonade. Congratulations Jamie! I look forward to reading your upcoming books. Hi Aimee! When life gives you lemons, write a picture book, right? One day at a time! I appreciate you taking the time to read the interview and check out my upcoming books! I have been following your family's journey and you certainly have made lemonade. I am thrilled for your success. What a wonderful heart warming interview. Wishing you much more success in the years ahead. Finding the courage to dive into all these new experiences isn't easy. Look forward to reading your book. Such a timely topic. We need more books like this! I've learned that you just need to immerse yourself in whatever it is you want to learn in order to achieve your goals. Thanks for the nudge. Congratulations on your success. I hope your husband is doing well and restored to good health. Many blessings to you & yours. My Grandma always grew lemon trees at her house on the farm so the title really caught my eye! The cover even looks like her ❤️❤️❤️ Thanks for an inspiring interview and hugs to your family! What a great book - can't wait to read it. Thank you, Carolyn! I hope you enjoy it! Congrats on all your success! Thank you for your inspiring words. Can’t wait to read your books. Thank you, Rebecca! I’m glad the post was inspiring and I hope you enjoy my upcoming books! Jamie- I can relate to so many things here. And compete with you with world's worst job interview. ;) Well done on all that you've accomplished so far. Can't wait for When Grandma Gives You a Lemon Tree, and I'm looking forward to all your other forthcoming books! Congratulations Jamie, on your debut & your other forthcoming #PBs. I'm so happy to learn that the lemons that fell into your life turned into lemonade. To the continued good health & happiness of you & your family. Thank you so much, Patricia! We all have lemons and we just have to do the best we can to manage them! I’m so grateful this picture book became a reality. I hope you enjoy it! I loved learrning more about you, Jamie! I totally understand pushing through and past obstacles and difficult times...you've had more than your share but I think you've grown stronger in your conviction that you are traveling the right road. Congratulations on your wonderful successes! And keeping you and your family close to my heart! Our young heroine has a nice apartment or house, and the picture with the cat is delightful! I thought of your book, Laura! It is awesome! Laura, I have a student at my preschool who asked for a rubber chicken for Christmas. That’s all he asked for and that’s all he got and he was so excited! He needs this book! Also, a few years ago I ordered three ducklings and they arrived in the mail (at the post office) and we surprised our boys. They are also going to love your book! The illos and story looks amazing from the previews online! Congrats!! You are one amazing lady! I'm so happy for you and your book baby. And I'm happy that you and your family are in a good place right now. Congrats! Best wishes for all that lies ahead! I love this idea! Thanks for sharing your story--and I wish you and your family the best. Thank you very much, Danielle! Sending lots of love and wishes for good health and happiness your way! Thanks for sharing, Jamie. I will pray for your husband's healing and full recovery. I bought your book online and can't wait to read it. Have a blessed day! Thank you for your support, Kim! I just ordered Laura’s book 🐔and I can’t wait to share it with my boys! I love that they’re in the same what-to-do-when...vein! Have a wonderful day! Wonderful journey story! Thanks so much for sharing with us! Perfect story for inspiration! Congratulations! Thank you for taking the time to check it out, Angie! I’m glad it left you feeling inspired. Now, go take on the world! 😊 Have agreat day! I'd love to have a copy of When Grandma Gives You a Lemon Tree! Thanks Jamie, for the chance to win one!! Thanks for taking the time to read the interview and comment! Good luck in the raffle! What a lovely interview! Jamie, you continue tonunspito me always. I'm so sorry you've had to step back from teaching, but so proud that you were able to make that tough decision. Your advice is SPOT on too. I had a so-called "toxic friend" in my life and thabjs to my husband, cut her out, and it's been even better since. Not that, as you know they're aren't bad things, but at least the only people I am with are very supportive and helpful. One of my newest friends even called me an author when she introduced me at a Christmas party. I said, well not yet, I'm just trying, and she said, no you're writing, that makes you an author. That belief goes a long way! Can't wait for your story! We love intergenerational books. It would be wonderful to share this with the children. Hi Linda! Yes, intergenerational stories are some of my favorites, too! I hope you enjoy it! Exactly, Joyce! It’s a process but it’s doable if you stick with it! Good luck! I loved reading about your writing journey, Jamie! Congrats on all of your success! Thank you, Cathy! I hope you enjoy the book! Have a great day! 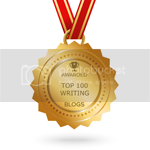 It's exciting to see you accomplish your writing goals! I appreciate your honesty about the ups and downs of your journey. It’s exciting to have you as a CP!! I’m so glad we’re starting up again! I had so much fun critiquing your stories last night! Thanks for all your support. I can’t wait to celebrate your debut!!! Oh my goodness, Jamie, you inspire me always, and here again! I cannot wait to hold this book in my hands! Thanks so much for the encouragement to just go for it even if you feel like a total newbie and learning so much all at the same time. I just started writing in August 2018 so there is so much to learn and take in. And I want to find time to write all these beautiful ideas in my head. Blessings on your husband's recovery. I know that Verizon guy! He must have gone to your house after leaving mine. ;) Jamie, this is such an honest and inspiring interview. This is my favorite line: "I know how working as a picture book author makes me feel – like my best self and full of joy." So true. HA! He got lost trying to find my house. Somebody give him directions...uh, I mean, the address for his GPS. I love how you always reach out to support and give to others, Jamie. Your words here and your actions every day inspire me! What an inspiring post, Jamie! I'm grateful for you!! !